The East Village landmark district is now recognized by the National Register of Historic Places. A speaker can talk about remodeling funding opportunities for owners and potential owners of buildings in the district. Scott Rappe will follow up with the city and Preservation Illinois. Business Minute: DreamDinners at 740 N. Damen Ave. is a planning and prepping service for family home dinners. The membership meeting will be 7 pm July 9 at Happy Village, 1059 N. Wolcott Ave., with board meeting if necessary 6:30pm at Leona's, 1936 W. Augusta Blvd. Tom Tomek is trying to get appropriate fasteners that will not fail in high winds, especially since East Village signs swing from a hanging bracket. 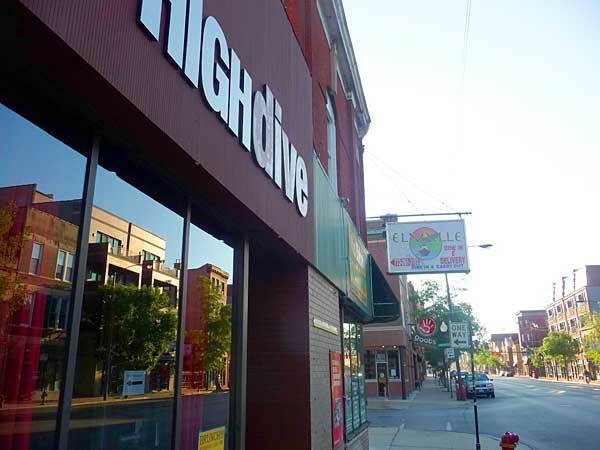 The request for a public place of amusement license at 1938 W. Chicago Ave. may put too much stress on the Damen-Chicago-Winchester block given the nature and size of the business. The request is inconsistent with current zoning and EVA's long-term vision of neighborhood diversity. Notice of the June 4 vote will indicate that EVA supports existing moratoria and that EVA should be kept in the loop on any future request for lifting a moratorium, so that EVA can help identify alternative solutions. The letter will be hand-delivered to Ald. Proco Joe Moreno. Regarding a proposed liquor license on the 1000 N. Marshfield block, Robert Schickel will set up voter registration and EVA membership sign-ups at the July 15 block party to raise awareness of the issue. A July 7 bike race at West Fest is a no-go due to late planning and insufficient time to ensure event safety and coordination with residents. West Town Chamber of Commerce should contact local residents ahead of the event. A 7 pm June 20 dinner at Enoteca Roma features a four-course prix fixe dinner for $40. Interested attendees need only make a reservation (fsorano@gmail.com, or 773-772-7700) and mention that they are attending the EVA event. A portion of each dinner purchase will go toward EVA's 30th fund. All EVA board members will encourage membership sign-up at all events and with neighbors to bolster community representation. Meghan Delong Quinn is recruiting local businesses and vacant owners to put up artwork. A zoning change at 1601 W. Division St. would lift the pedestrian designation for which EVA fought. EVA is asking the developer to incorporate in its application all provisions of the pedestrian designation except the bank drive-through.